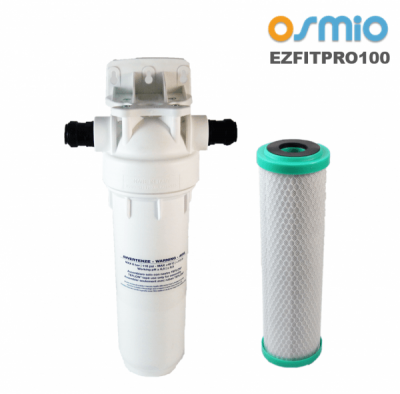 The Osmio EZFITPRO-100 Undersink Water Filter Kit is a pocket-friendly and simple solution for anyone looking for a point-of-use water filter that specifically targets chemical disinfectants and tap water taste and odour issues. 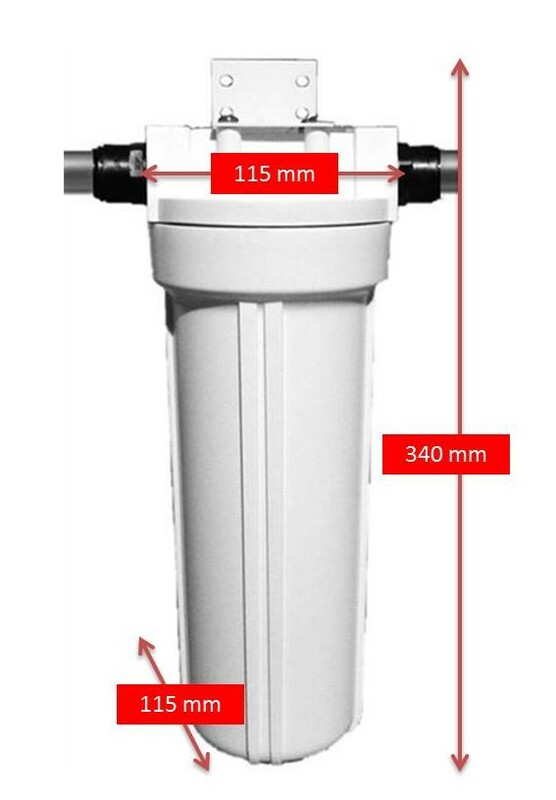 This under-sink water filter comes with a Pure 2.5" x 10" Carbon Block 5 Micron Filter that contains 100% coconut shell carbon for a better chlorine removal capacity, better dirt-holding capacity, and better-tasting tap water. Besides chlorine, the filter also removes fine sediments, volatile organic compounds (VOCs), and other particles and suspended solids larger than 5 micron. 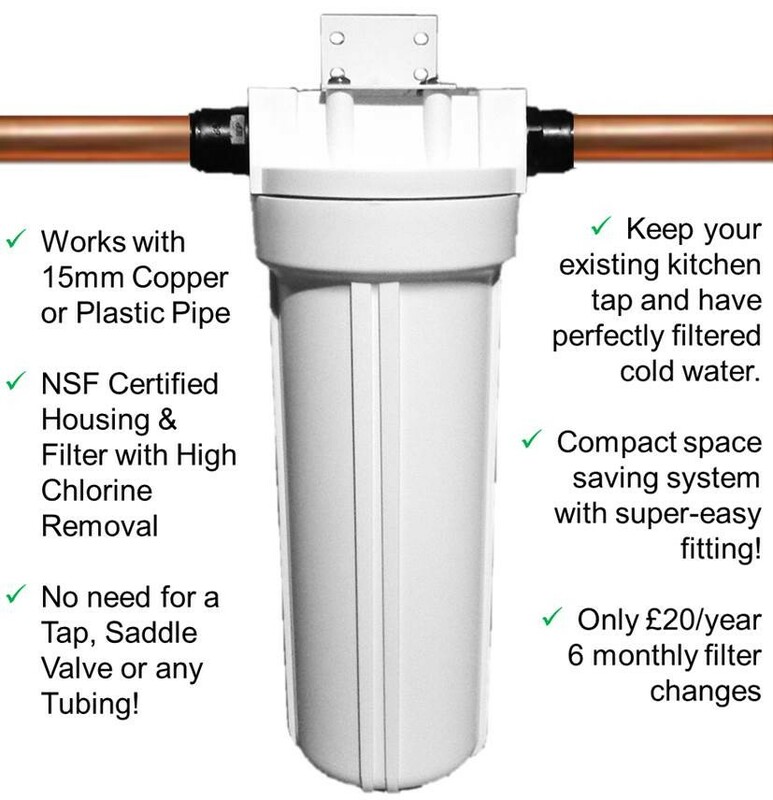 The single-stage filter boasts superior flow rates and easy installation thanks to the 15 mm John Guest push fittings that are compatible with any 15 mm copper or plastic speedfit pipes. Thanks to its small dimensions, the EZFITPRO-100 is ideal for small apartments or for places where bulky water filter hardware would be an inconvenience. Another great advantage of this under-sink filter is that you don’t need to install a separate water filter tap for filtered water, which means that you can keep using your existing kitchen tap. The coconut shell carbon block filter cartridge needs to be replaced every 6 months. 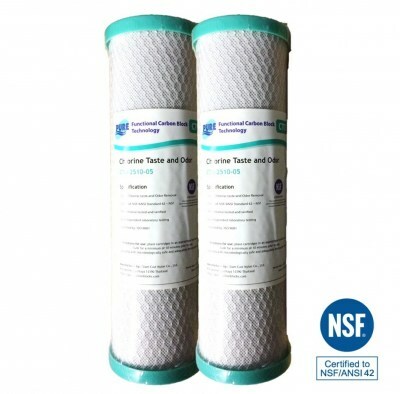 To save on filter replacements, we recommend that you purchase the Pure 2.5" x 10" Carbon Block 5 Micron Filter Dual Pack. The EZFIT-PRO 100 is an excellent choice for anyone on a budget looking to eliminate chlorine, VOCs, and any strange tastes and odours from tap water. The Watts Flowmatic filter housings with buttress threads for 9-3/4 in. filter cartridges are made from NSF and FDA grade materials, manufactured from the highest quality, FDA grade, 100% polypropylene and acrylic styrene. They have a leak-proof sealing is accomplished by compression against a top seated EPDM o-ring located in the housing’s sump. Thick wall and added ribs make the housings ideal for a wide range of applications. Polypropylene construction provides excellent chemical resistance with most acids, alcohol, ammonia, oils, plating solutions and many aggressive chemicals. Housing is rated for temperatures to 125°F (52°C) and pressures to 125 psid (8.75 bar). Up to 99% chlorine reduction - Performance tested @ flow with 2ppm chlorine.